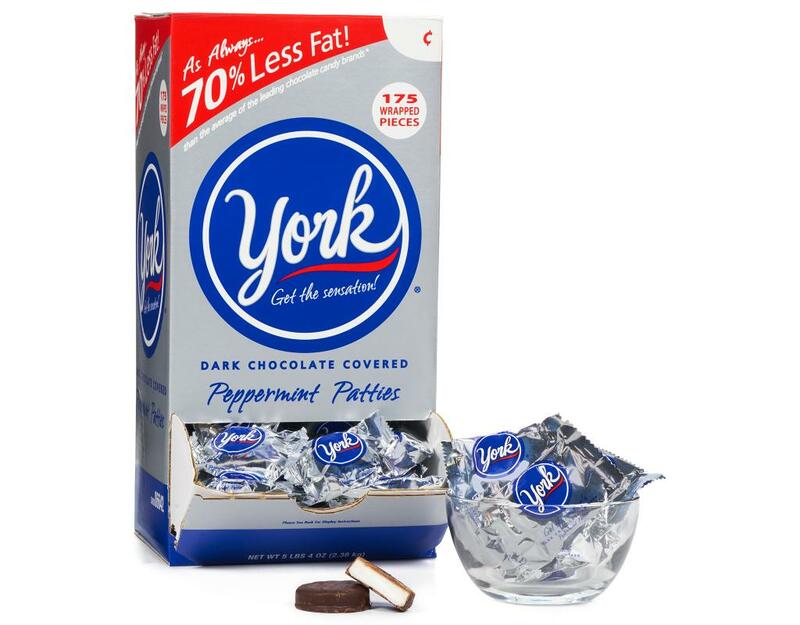 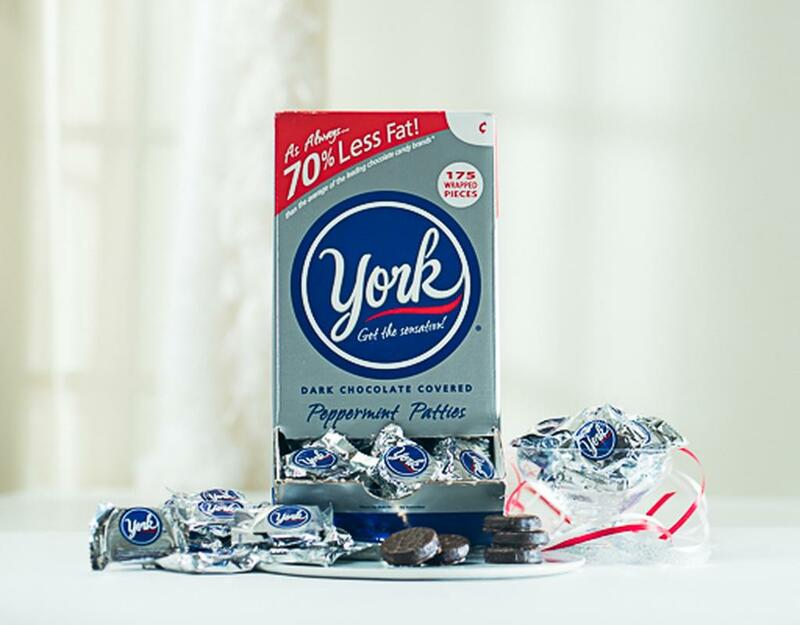 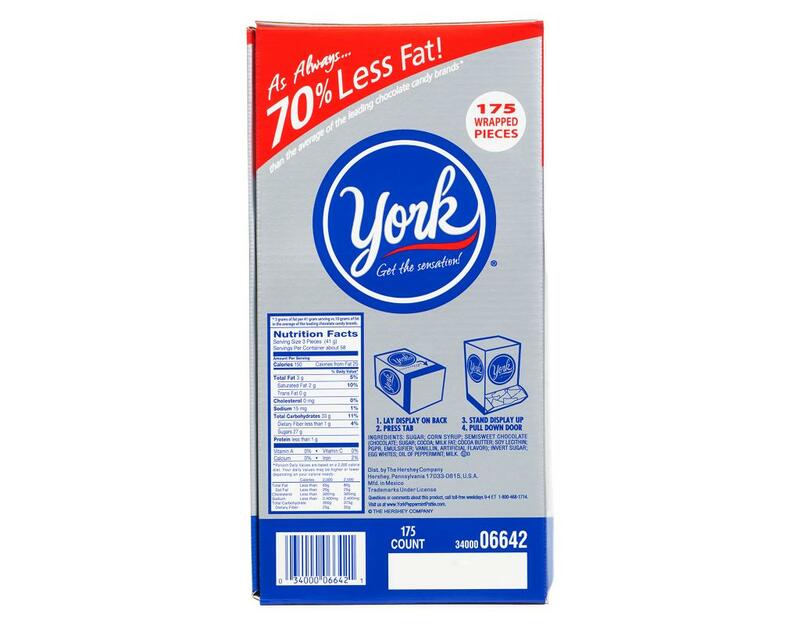 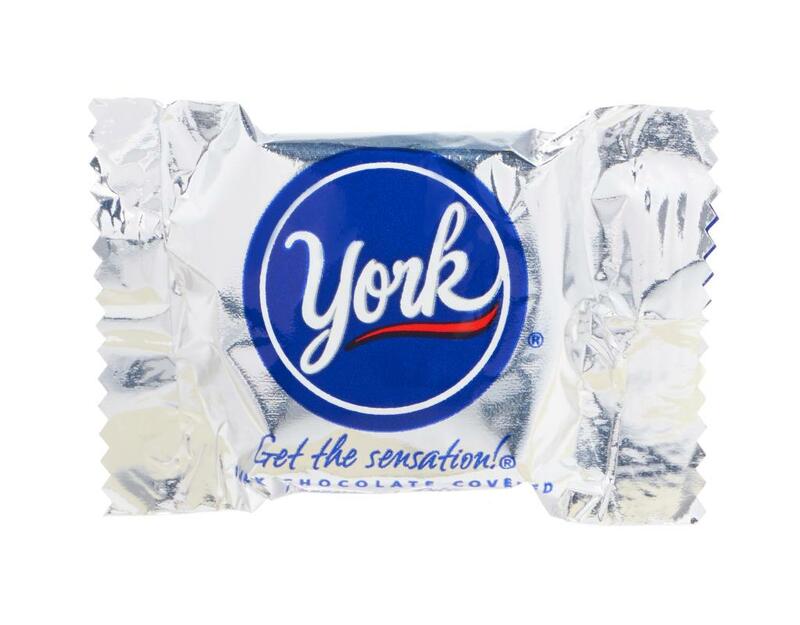 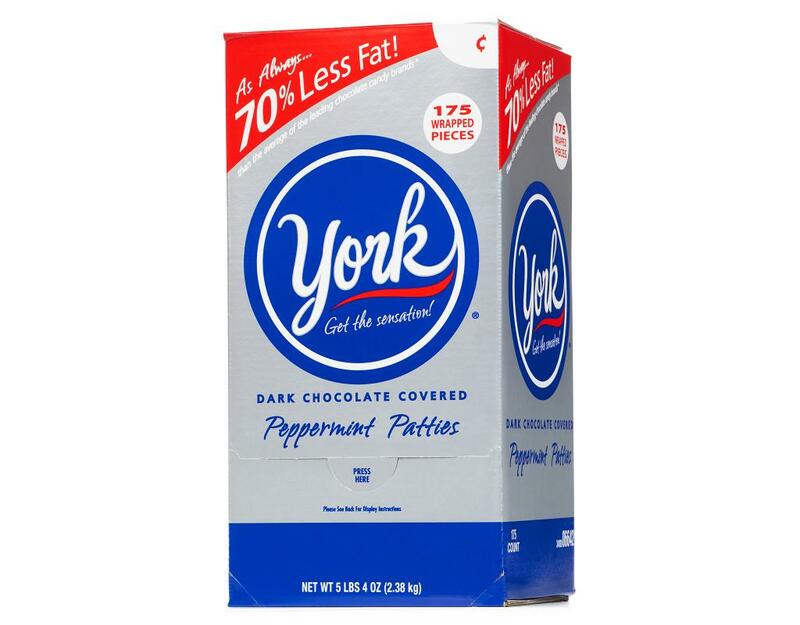 Get the Sensation with York Peppermint Patties! 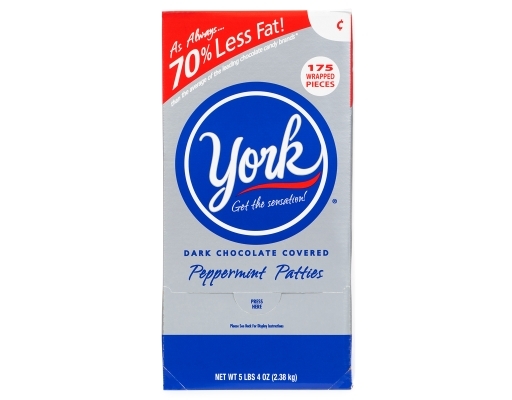 The delicious combination of cool, refreshing peppermint and smooth dark chocolate now with 70% less fat! 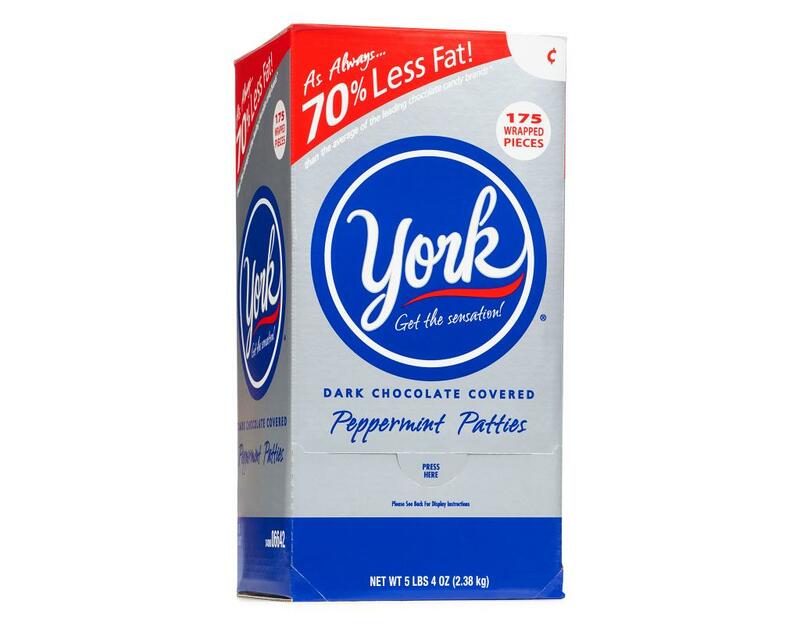 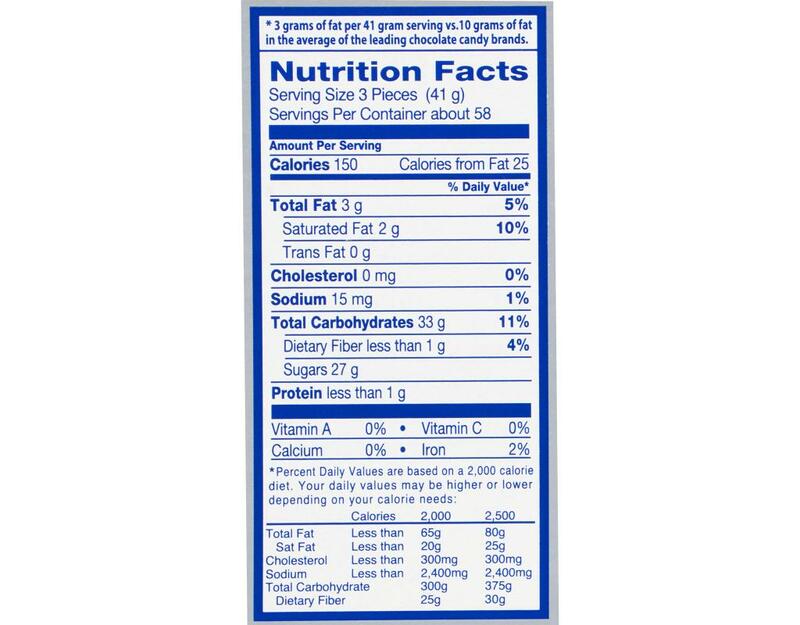 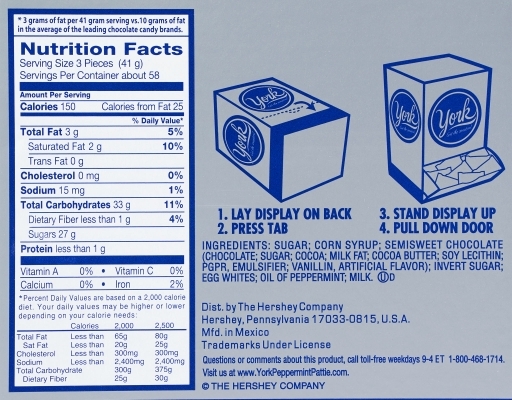 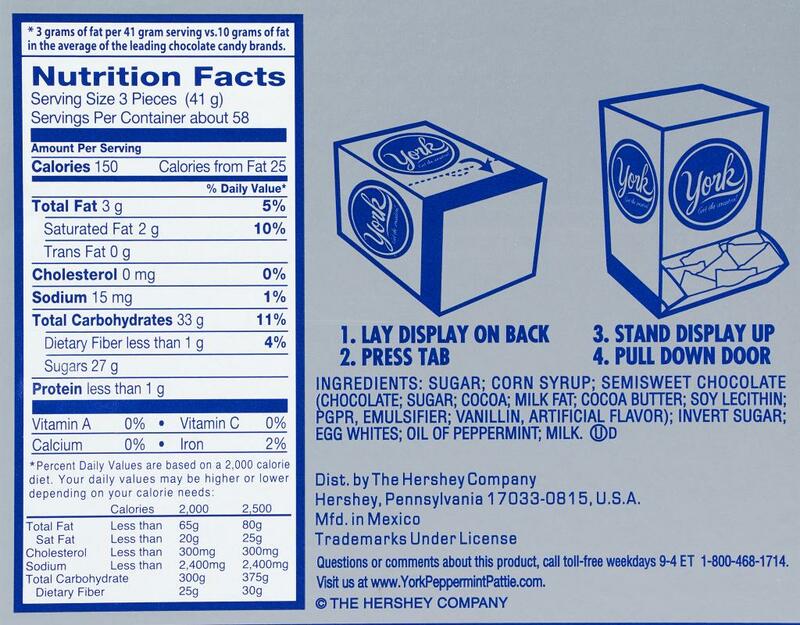 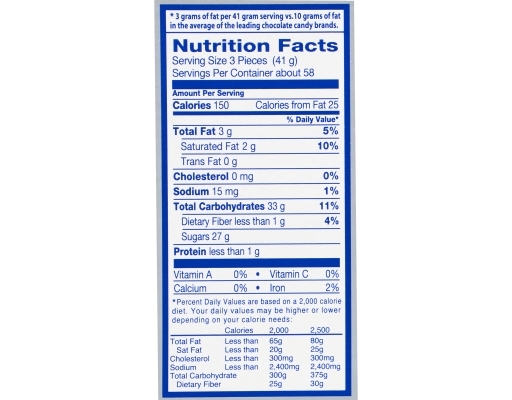 Sugar, Corn Syrup, Semisweet Chocolate (Chocolate, Sugar, Cocoa, Milk Fat, Cocoa Butter, Soy Lecithin, PGPR, Emulsifier, Vanillin, Artificial Flavor), Invert Sugar, Egg Whites, Oil Of Peppermint, Milk.